I have one Land Rover, but I’m interested in the whole range of them. 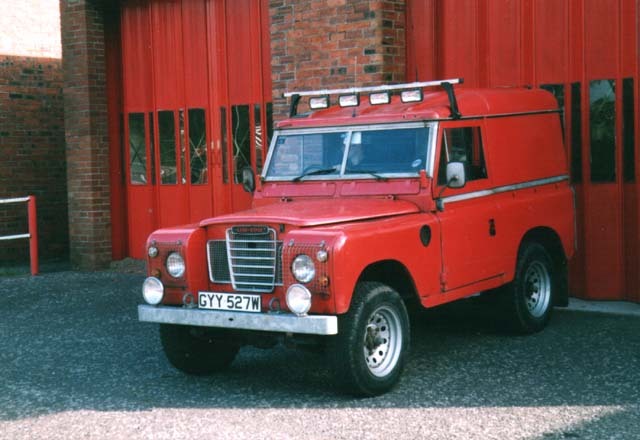 The one I have is a red Series III Short Wheelbase 2.25l petrol. 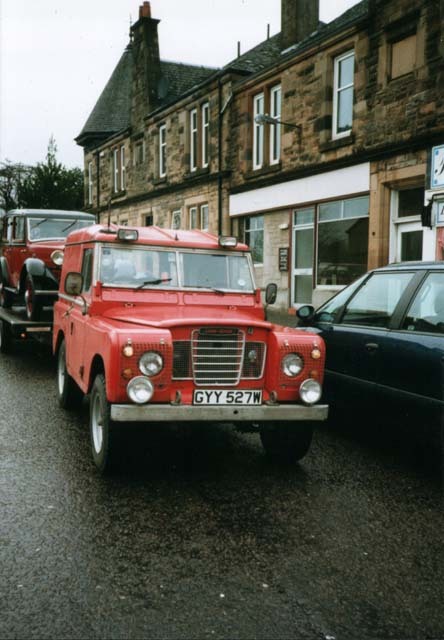 It was originally stationed at the Bishopton Royal Ordinance factory in 1981 for several years, and it has subsequently passed through two more owners before winding up with me back in 1999. Being made in the latter half of 1981, around the time they changed from imperial to metric, means it has a wide variety of nuts and bolts on it. It is also painted in a non-standard colour, with no colour or trim codes visible on the VIN plates, which makes it nigh on impossible to get a perfect colour match without going for the more expensive spectral analysis methods. Since winning £250 at a work raffle, it now rolls on a set of 750×16 Colways, which were fitted just in time for the run to Portugal in it. Other modifications include a replacement chassis, parabolic springs, new seating, free breathing air filter, a Weber carburettor, large bore exhaust system, additional lighting, a Fairey overdrive, and a center cubby-box. Up until recently, it was my everyday vehicle. Due to the significant age of the chassis, rust had started to make its way into it and hence it was laid up for renewal. Since coming back from having the chassis replaced, parabolic springs and shockers installed, and all the brakework replaced, all that remains are the front wings, dashboard and on-board trip computer.